Have you ever looked at your bill and decided it was too complicated to even attempt to read? Many customers have had the exact same thought. 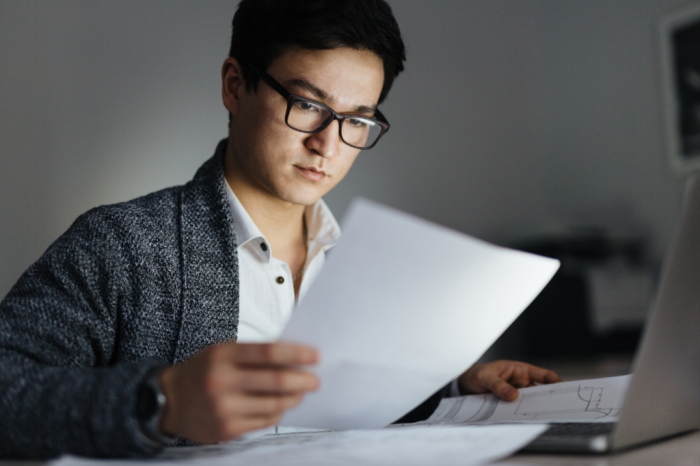 This guide will help you to understand your Scottish Power bill, work out what is included and help translate the jargon. Typically, the first page of your bill with most suppliers will include the most important information regarding your energy. This includes the billing for the last and current period, your energy usage so you can compare it to the last year and essential account information. Your account balance will tell you how much you’re either in credit or debit to your energy company. Credit = When your energy supplier owes you. Debit = When you owe your energy supplier. You can use your account number when ringing up your energy supplier so they can access your account quicker. 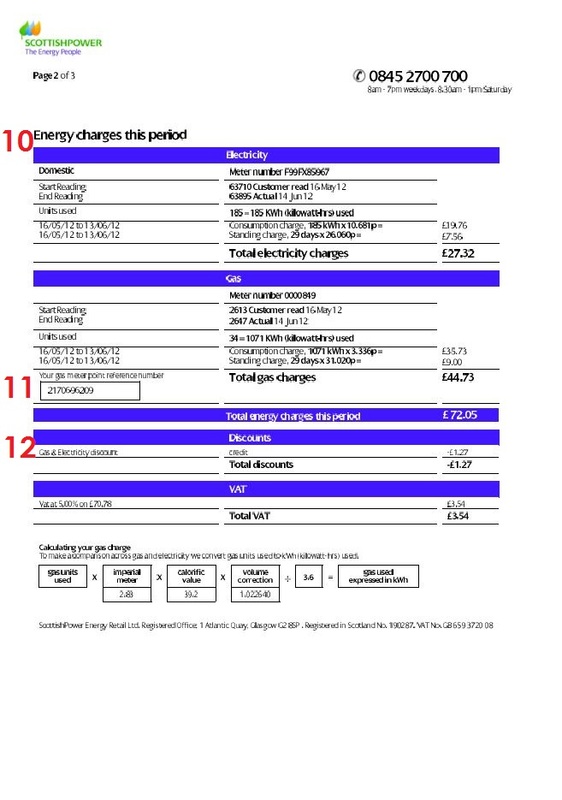 On the bottom right you can often see whether you could be getting a cheaper electricity or gas with a different tariff, or where you can find this information. Some other useful information on this page includes how to get in touch with Scottish Power, which is very important if you need to sort something out quick. 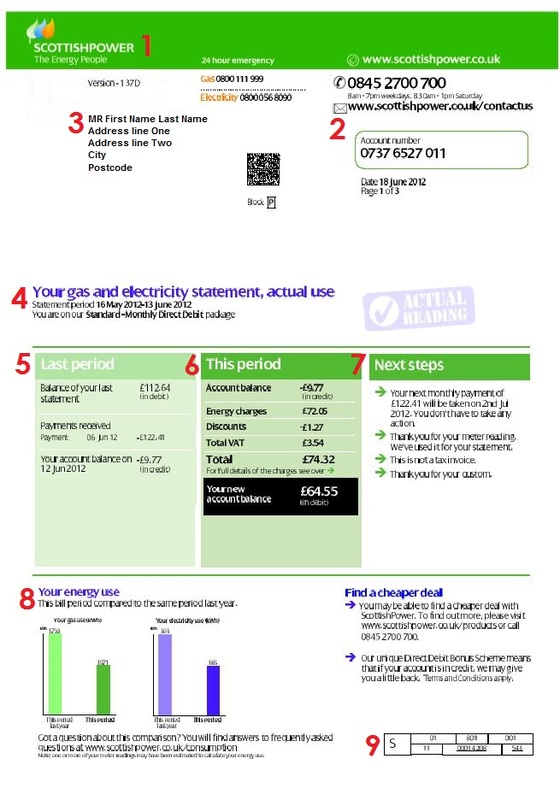 The second page of your Scottish Power bill will tell you more information about your actual usage. This is where you’ll see things such as how many units of kWh you used during that period for both electricity and gas, any discounts you might be getting and your total charges. You can also find your MPAN and MPRN numbers. MPRN Number: Your MPRN, is the unique number for your property that is for identification. This is usually six to ten numbers and no letters. MPAN number: The Meter Point Administration Number (MPAN) is the electricity supply number for the meter in your property. These numbers are essential when it comes to talking to your energy supplier about your supply. 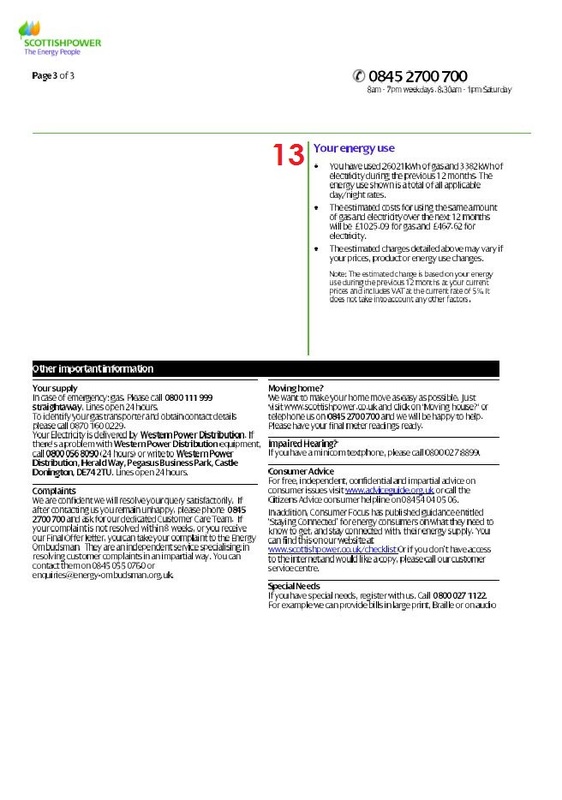 At the bottom of the second page, your Scottish Power bill will tell you how they calculated your gas bill. Your final page should show you information regarding the last 12 months of your consumption and how much it cost you. As well as the future 12 months assuming your energy consumption habits remain the same. This helps you to better compare suppliers, as you can use these figures to determine which energy tariff might be the most cost-effective for you. Are you a Scottish Power customer?